New Delhi: A Delhi court on Thursday declared beleaguered businessman Vijay Mallya a proclaimed offender for evading summons in a FERA violation case. Chief Metropolitan Magistrate Deepak Shehrawat passed the order after noting that Mallya failed to appear before it despite repeated summonses. "In view that Vijay Mallya failed to appear before this court within 30 days, and no representation was made on his behalf, he is declared as proclaimed offender," the court said. The court had on 12 April last year issued an open-ended non-bailable warrant against the liquor baron. Unlike a non-bailable warrant, 'open-ended NBW' does not carry a time limit for execution. On 4 November, 2016, while issuing non-bailable warrant against Mallya, the court had observed he had no inclination to return and had scant regard for the law of the land. It had said that coercive process has to be initiated against Mallya as he was facing proceedings in several cases and avoiding appearance in those matters. The court had also held that Mallya's plea that he wanted to return to India but was "incapacitated" to travel as his passport had been revoked by Indian authorities, was "malafide" and "abuse of the process of law". Mallya, who is reportedly in London, had submitted before the court on 9 September that was "incapacitated" to travel despite "best intentions" as his passport had been revoked. On 9 July, the court had cancelled the exemption from personal appearance granted to Mallya on an application of the Enforcement Directorate (ED) and directed him to appear before it on 9 September. 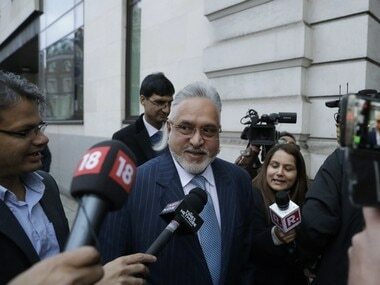 The exemption was granted to Mallya in December 2000. The anti-money laundering agency had issued summons to the businessman in connection with alleged payment of $200,000 to a British firm for displaying Kingfisher logo during the Formula One World Championships in London and some European countries in 1996, 1997 and 1998. It had claimed that the money was allegedly paid without prior approval of the RBI in violation of Foreign Exchange Regulation Act (FERA) norms. 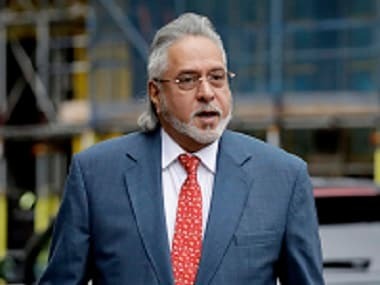 In its plea against Mallya, the ED had also sought issuance of non-bailable warrant against the chairman of the now defunct Kingfisher Airlines to ensure his presence in the ongoing trial of the case, which is at the final stage. According to ED, Mallya was summoned on four occasions for questioning in connection with a contract signed in December, 1995 with London-based firm Benetton Formula Ltd for promotion of the Kingfisher brand abroad. When Mallya failed to appear before ED in response to the summons, a complaint was filed on 8 March, 2000 before a court here and later charges were framed against him under FERA.